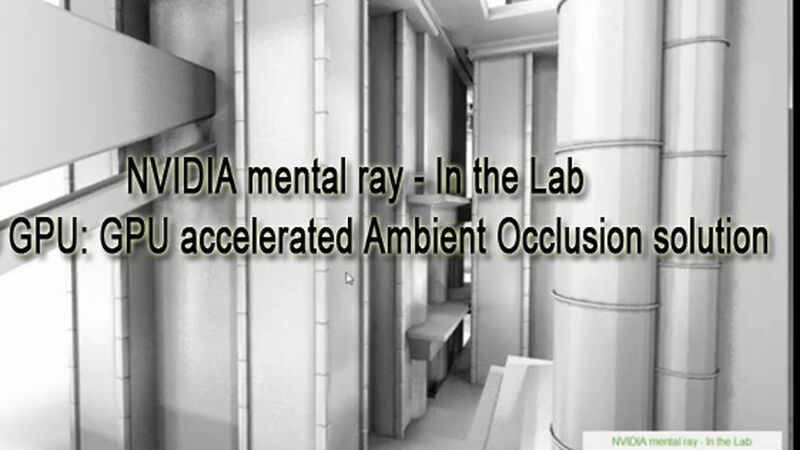 The developers NVIDIA mental ray have a new category in their blog named In the Lab, a section where we study new solutions and features for future versions of MR. In this first post release a search for "GPU accelerated Ambient Occlusion solution", in short, AO GPU. The video below shows three new features of GPU AO: progressive rendering, high-quality anti-aliasing and Object instances, all generated using a test application independent and with a NVIDIA Quadro K6000.